The Smoky Mountains have so much to offer in mountain vacation rentals, beautiful scenery, fun-filled activities for the entire family, and historical landmarks from Tennessee to North Carolina. If you get a chance while staying in Gatlinburg or Pigeon Forge, take a drive over to Cherokee for a day or night with the family to visit their Harrah’s casino & entertainment pavilion. Set in the beautiful homeland of the Cherokee Indians, Harrah’s Cherokee Casino offers luxury and beauty both inside and out. 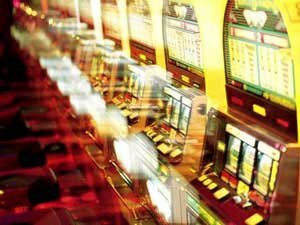 Action-packed gaming includes slots, video poker, the PokerPro poker room, and interactive video technology table games. Enjoy live entertainment at the Cherokee Pavilion, and culinary delights at the choice of restaurants. LIVE Local Bands – Friday & Saturday nights! New Restaurant Offered! Harrah’s Cherokee welcomes Paula Deen’s Kitchen, the first restaurant to be unveiled as part of a more than $630 million expansion. The “Queen of Southern Cuisine” will launch a full-service, 404-seat restaurant featuring an á la carte breakfast, lunch and dinner, and will be reminiscent of the décor and ambiance of Paula Deen’s home and kitchen in Savannah. At the entrance to the restaurant shop in the unique 1,800-square-foot Paula Deen retail shop that offers her popular cookbooks, spices and food items, cookware, logo wear and gifts. 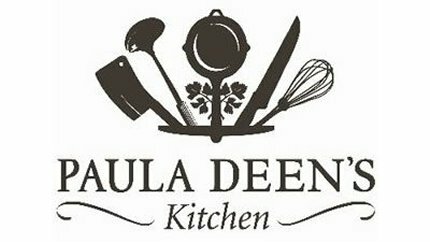 Enjoy Paula Deen’s special style of cooking and Southern hospitality, a perfect fit with our guests here in the Great Smoky Mountains! Stay in Gatlinburg & enjoy everything the Smokies has to offer. Drive to Cherokee for a day or night full of entertainment including music, gaming, & fine dining!